Welcome to your world, Catalina! On February 4th, 2017 our newest addition to our family came into the world! The past two months has been spent adjusting to life with a preschooler (WHAT?!) and a newborn but overall it’s been great. Paloma has taken so well to her “baby sissy” and has adjusted better than I thought she would. We are so in love with our newest addition, it’s hard to remember what life was like without this bundle of joy in our life. How she came into our world, however uneventful, will be hard to forget. After another very hot summer day I was in bed watching tv when I started getting uncomfortable contractions. I had been having Braxton Hicks contractions since I was around 30 weeks pregnant so I didn’t think too much of it until I realized that after drinking water, putting my feet up, going to the bathroom, and lying down on my left side was doing nothing to alleviate them. I started timing them at around midnight, they were steadily coming every 7-10 minutes, nothing too concerning or worth going to the hospital for. I tried to sleep but every time I would get a contraction I would wake up. At around 6:30am they started coming in every five minutes. I started getting our bags ready and leaving things prepared for PJ and my parents in case we had to leave at a moments notice. I woke up Carlos at around 7:30am so he could go to the store and buy some food in case we would be gone for more than the normal two day hospital stay. By the time he got back and PJs breakfast was made my contractions were coming every three minutes lasting about a minute each. Every contraction knocked the wind out of me and my knees would buckle beneath me. We packed the car and started on our hour long journey to the hospital. I would like to point out that I was anything but calm, cool, or collected. I was screaming and moaning in pain, banging on the ceiling and listening to PANIC! At the Disco’s new album Death of a Bachelor for some sort of comfort. How Carlos managed to get us there without crashing is beyond me. Once I got to the hospital my contractions were so close together I couldn’t get out of the car so Carlos had to pull up to the ambulance bay and grab a nurse to assist me. They wheeled me up to L&D while Carlos parked the car. The emergency room OBGYN checked me and said I was barely a centimeter dilated. I thought it was impossible considering how close together my contractions were but wasn’t too surprised considering the same happened with PJ. As luck would have it my OBGYN was the doctor on call so he already knew we wanted to have a repeat c-section. He did make me wait about two painful hours before getting me into the operating room (rude) but everything went smoothly. Catalina was born at 1:43pm, weighing in at 3.045kg and measured in at 18 inches. She was much smaller than any of the doctors thought she would be. Two days beforehand we had an ultrasound performed where the technician said she would come in close to 4kg. My recovery has been great. I was feeling back to (almost) normal once they removed my stitches. Breastfeeding this time around has definitely been more successful and overall our transition to being parents to two beautiful girls has been much easier than I anticipated. For anyone looking for a newborn photographer in Montevideo I can highly recommend Charles Sarti Photography in Carrasco. Charles is HIGHLY professional and truly dedicated to his craft. Posted on March 27, 2017 March 28, 2017 Categories Motherhood, UruguayTags american abroad, american expat, birth, birthday, family, Montevideo, mother, motherhood, newborn, newborn photographyLeave a comment on Welcome to your world, Catalina! PJs first trip to DisneyWorld! One of the most amazing things we did in 2016 was take PJ to DisneyWorld for the first time! It was her third birthday gift from my parents and it was such a blessing to be able to take PJ to the happiest place on earth. We decided the best time to go during our trip would be the week after Thanksgiving so we could enjoy the Christmas decorations since Carlos and I had never been during the holidays. I probably wouldn’t suggest going that Monday after Thanksgiving seeing as it was packed but our next two days weren’t so bad. I was actually really disappointed at how PJ was when we first got through the gates. She was so unimpressed. She hated waiting in the long lines and hated getting in and out of the stroller. Most of the first day I legit thought my kid hated me. But after getting the autism diagnosis it makes sense, she was just on a sensory overload and didn’t know how to process everything. After PJs umpteenth tantrum, I remembered that Disney offers disability passes so that you don’t have to physically wait in line but come back later after the current wait time. This was seriously the BEST thing we could’ve done with PJ. Even though we spent much of the wait times walking her around in circles or browsing through the gift shops, PJ wasn’t confined to a slow moving line which limited her fussiness. My 28 week pregnant self also didn’t mind limiting the time on my feet either. Once we managed to get our hands on that disability pass PJ truly enjoyed the rides. Her favorite being Under the Sea: Journey of the Little Mermaid. We rode that ride every day, two and three times because she was in awe every time. I knew my baby was a Little Mermaid fan but didn’t realize the extent of it until our time at Magic Kingdom. PJ had already met a few of the characters but she would scream and run away in fear every time they tried to approach her (Seriously, sorry Mickey if I would’ve known I wouldn’t have made her come in…however it is kinda weird that you talk now). But I decided that I would try just ONE more character before forever swearing off making PJ meet them. When she walked into Ariel’s Grotto this kid lit up like a firework on the Fourth of July. Walked right up to her and hugged her and kept on saying “Wow…” and tried touching her hair and, awkward to say, clam shells. Ariel was a sport considering how touchy PJ was but it really made her whole experience. PJ hugging Ariel for the third time during her Meet and Greet. The biggest disappointment was that Haunted Mansion was closed during our visit! PJ had just gone through a Halloween/ghost obsession and I knew she would absolutely love that ride but it was closed the three days of our visit. I won’t bore you guys with a huge list of things to do and not to do considering there are hundreds of them all over the internet. However I will say for parents with kids with ASD: GET THE DISABILITY PASS. Even if you don’t end up using it because the lines are short or you’ve done well with FastPass+ it’ll be nice to have it handy. Also, get the MemoryMaker photo option. I know it’s pricey but we got some AWESOME shots of PJ and we were able to focus on being present in her experience rather than fidgeting with our camera. And it’s true what people say, the photographers take way more pictures with their cameras knowing that you’ve already paid for the service than when they use your camera. *If you ever find yourself needing a place to stay in Orlando with your family, I HIGHLY recommend considering AirBnb with Barbara. For whatever reason I wasn’t able to leave her a review on AirBnb’s website but my goodness this was the best thing we could’ve ever decided to do. The place was huge and modern, we totally took advantage of the pool and onsite playground, and PJ loved taking a bath in the jacuzzi every night after our days at Disney. The hostess has put so much thought and effort into the property, honestly couldn’t ask for anything better. Assuming she’ll still be renting her property in a few years time, we will definitely be staying there again. Posted on January 16, 2017 January 12, 2017 Categories Motherhood, Personal, UncategorizedTags ASD, Autism, disney world, family, family trip, magic kingdomLeave a comment on PJs first trip to DisneyWorld! I haven’t updated in what seems like forever. First, I didn’t know what to write about. Then, I didn’t know how to formulate my thoughts into words. And lastly, my computer died last week. Thankfully my mom is letting me borrow hers until I get it back from the repair shop. My aunt is currently visiting us from Miami so I’ve been quite the busy tour guide! 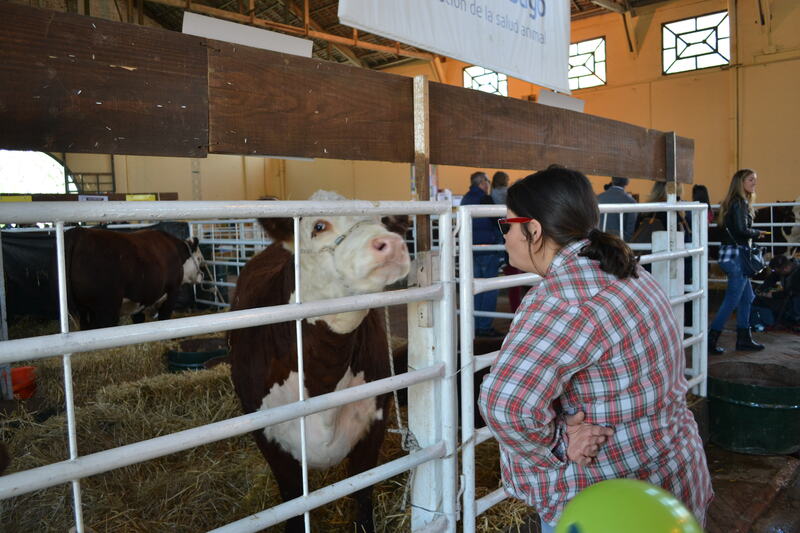 This post is dedicated to our day at Expo Prado last Thursday. I’ve been wanting to go since we got to Uruguay two years ago but something always came up during those days. 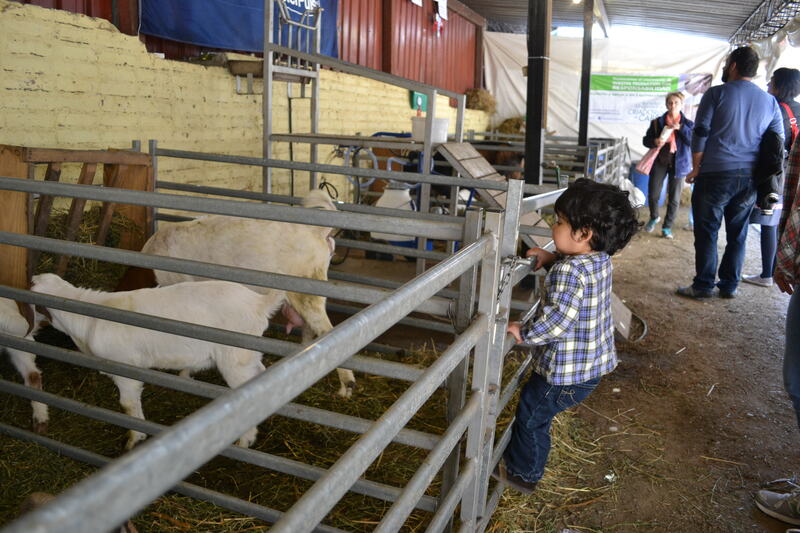 The expo is a agroindustrial fair where the country’s best animal farmers bring their prize animals for auction. 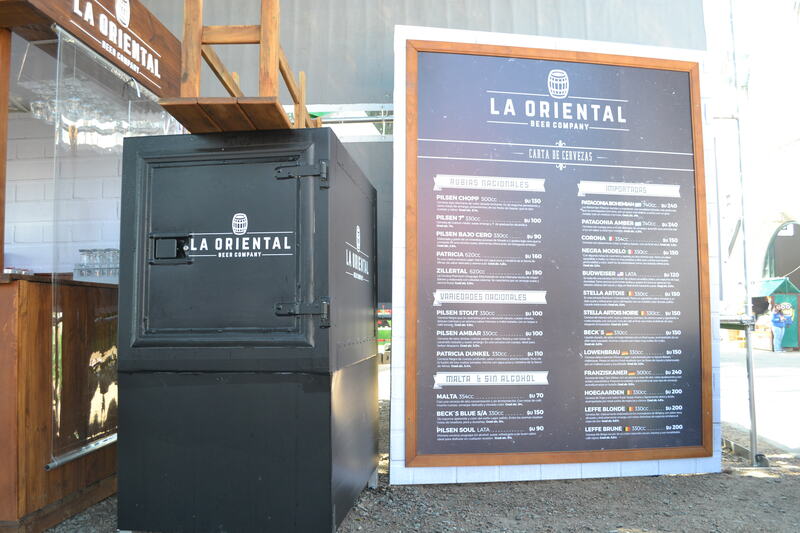 It’s also where merchants come to show off their latest farm inspired goods ranging from machinery to fashion. Walking into the fair grounds I quickly got nostalgic for the yearly fair that takes place in Miami. The smell of churros quickly hit my nose, balloon vendors were bombarding us and I just knew it was going to be a good day. 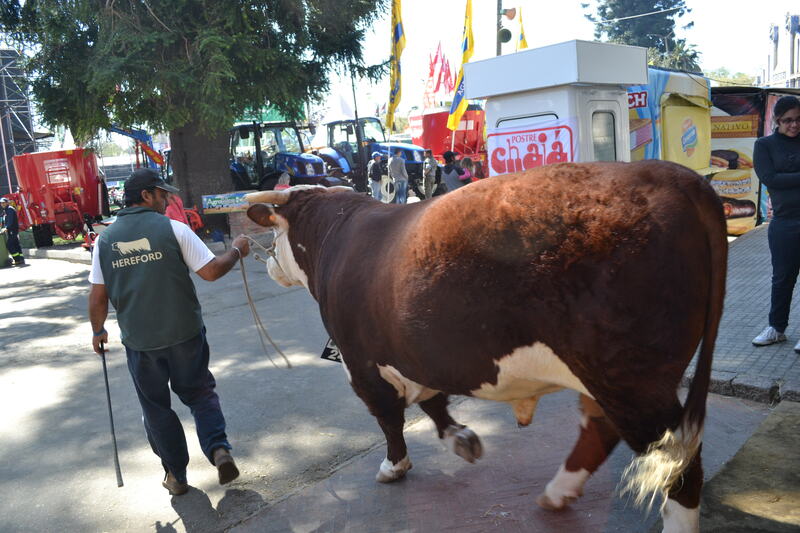 Hereford bull being brought out of the pen to spread his legs. I’ve seen my fair share of cows before but never like this! Prior to moving to Uruguay I literally thought cows came in the black and white variety and that was that. Very small minded of me but hey, I’m a city girl. Carlos was showing off by telling me all about the different breeds, where they originate from, and how they came to Uruguay. I swear sometimes it feels like I don’t even know who my husband is! We were separated from my mom and aunt for a bit so we decided to check out the goat pen. We used to have goats on the farm but after four died from their mischievous antics, we decided that while we love goats we weren’t suited to own them. Turns out that we have our own little goat seeing how PJ decided to climb into the goat pens. After walking around aimlessly for a bit we came across an beer stand. For those of you that don’t know, Carlos is an avid beer drinker. As for me, as long as it has alcohol in it I’m almost always in. The beer selection was the usual Uruguayan Patricia selection along with some imported beer like Budweiser and Corona. 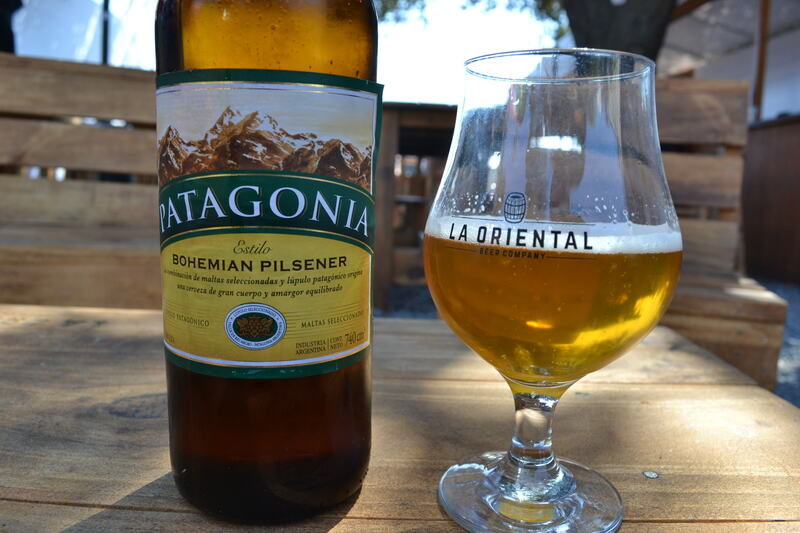 We decided to try some Argentinian beer called Patagonia. It was delicious and I’ll definitely be looking for it at the exotic beer shops in Montevideo. We found a little playground area in the back of the park and let PJ run around and release some steam before we decided to keep walking around the animal pens. It was nice to take a break and let her enjoy herself. 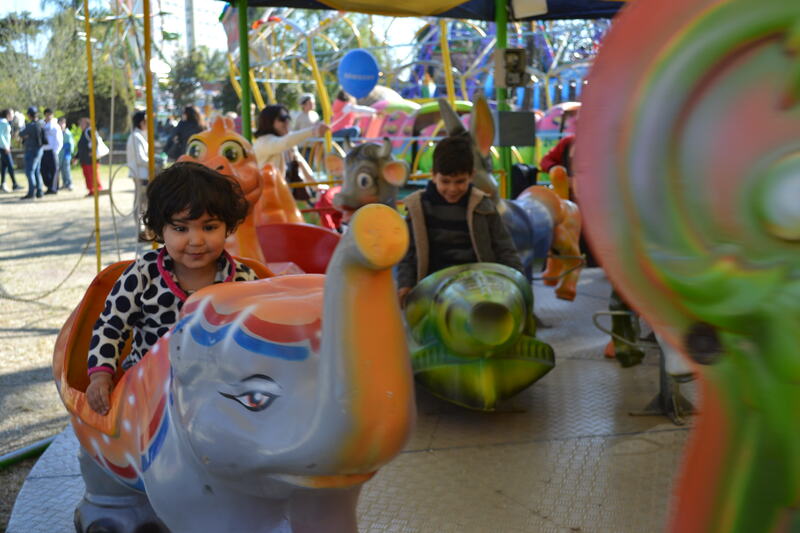 After awhile we kept exploring and found a little alleyway of sorts that led us to a tiny amusement ride area. PJ originally wanted to ride the teacups but she is still too small so we coerced her to give the carousel a try. As you can see in her photo she’s just a little ball of sass. Past the rides, there’s an area of artisanal shops selling things like leather boots, purses and even cheesy tourist keychains. My aunt ended up buying herself a mate cup along with some souvenirs for everyone in Miami. From that point there were more alleyways leading to different parts of the park but PJ was getting cranky so we left. Overall, we had a very nice day together and I definitely plan on making this a yearly tradition. If you ever find yourself in Montevideo in the month of September I would definitely take the time to come to the expo. 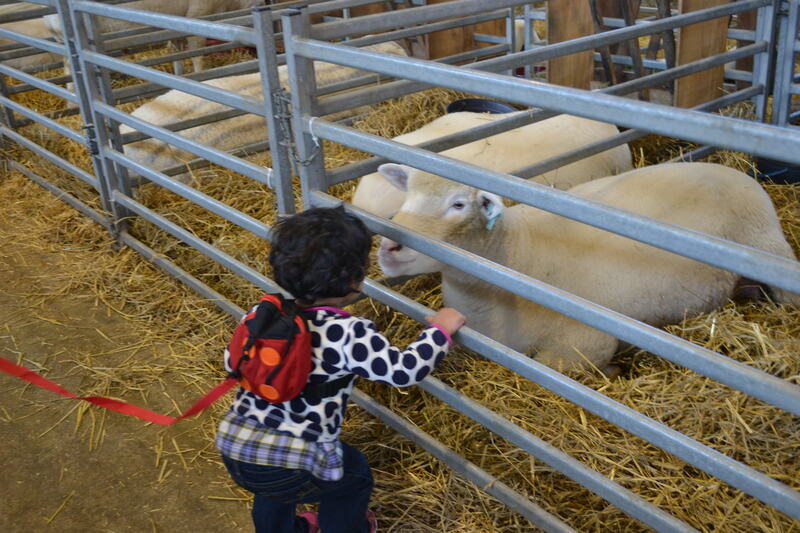 It’s a nice for a family outing with good food, animals and rides for the kids. My own little mountain goat.